An unexploded World War Two bomb was safely defused on Sunday after one of Greece’s biggest peacetime evacuations. 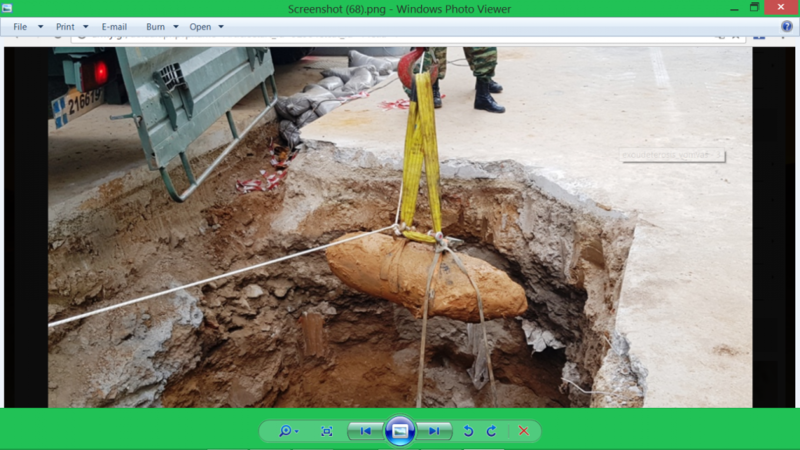 The device, dropped during an air raid in the 1940s, was discovered underground in the country’s second city of Thessaloniki, during work at a petrol station. Greece was occupied by Nazi Germany during the war. Greek Army Spokesman Colonel Nikos Fanios told reporters that the US-made bomb weighed 125-kilos. This entry was posted on Wednesday, February 15th, 2017 at 1:19 pm and is filed under CONVENTIONAL WEAPONS. You can follow any responses to this entry through the RSS 2.0 feed. Both comments and pings are currently closed.